Awesome article! I have always believed that collaboration is difficult to develop in business because it requires a lot of discussions, but this article has shown me that it can be accomplished. Thanks for sharing this kind of information. I truly enjoyed reading this entire post. As a business owner, there will always be challenges that require your attention. Effective collaboration can often be an important solution for certain situations. We believe that it is smart to be open to trying different potential methods for solving business problems. That way, when you have a need to apply them, you will be prepared. 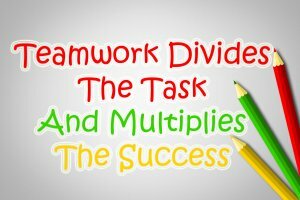 Very much to the point regarding teamwork in business. Co-founding especially, can be a great way to share in difficult and critical responsibilities as you mentioned in the article. Thank you! We love collaborations and have developed some very practical ways to apply principles that will accelerate an entrepreneur’s progress. This is especially helpful when dealing with situations that you are not able to handle well by yourself. Wow, I loved this. Awesome content. Your blog is perfect. I didn’t get bored reading your blog and it was so well written. I love your blog so much. Thanks for these tips and ideas. You are a genius! Thank you so much for your kind words. We are always happy to know that our readers appreciate our efforts.